Well, you all really did it. Thanks you so much for making our first experiment a success. 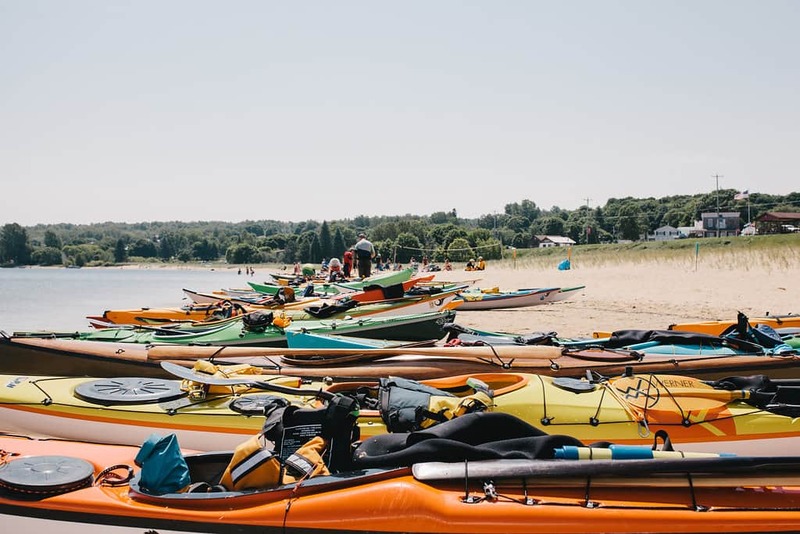 I am very excited to practice and implement all that I learned at the Great Lakes Sea Kayak Symposium this year and take 2018 to a whole other level. The week was quite a blur and filled with too many special moments to isolate here. I think our group of photographers did an outstanding job of capturing the essence of the experience of the event. Community. Learning. Adventure. They deserve a huge shout out. April. Geoffrey. Jacob. Our volunteers delivered big as well, much appreciation. Kathy. Fiona. Marta. Deb. Lisa. All our coaches killed it too (their jobs, not you), as we knew they would. And Doug, Kelly and Scott brought it as usual. Lake Superior stepped up as she always does and brought us beautiful warm, calm days to start and finished with a playful session of legit surf on Sunday! Grand Marais was Grand Marais, enough said. I do need to share one story anonymously. It kind of stressed me out to be quite honest. I was challenged by an amazing woman who told me on Wednesday that the only reason she signed up was because we said “this place will change your life”. And then each day she found me to provide an update and hold me to that commitment. The task was not mine but YOURS. Congratulations, one down and the world to go! We have some special surprises in store so keep in touch. Oh, and Lisa Mary WILL sing for us next summer! P.S. If you haven’t filled out the survey yet, please take a few minutes now to let us know your opinion.